There’s a Gatsby party coming up in a couple of weeks and tonight I decided I’d go. With all the draping I’ve been doing at the dress shop, my skills are getting, little by little, better and more trustworthy. I have a lot to learn, don’t get me wrong. I’ll toot my own horn when it comes time. Here’s a project I did at work that really pumped me up to drape more at home. Made this from scratch- only thing my designer helped me with was the lining. Of course, she advised me all along the way. Yeah, she’s pretty awesome. And then I went home and a couple of weeks later, started playing with a silk jersey I bought. On a whim, I started playing with draping something bridal. 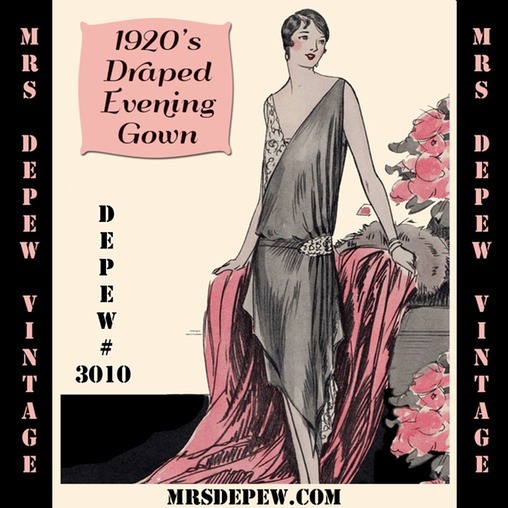 So, now with this party coming up, I want to drape a 1920s evening gown. The cool thing about working for a bridal designer is that I have access to some really high end materials. I really like the beaded piece at the hip. 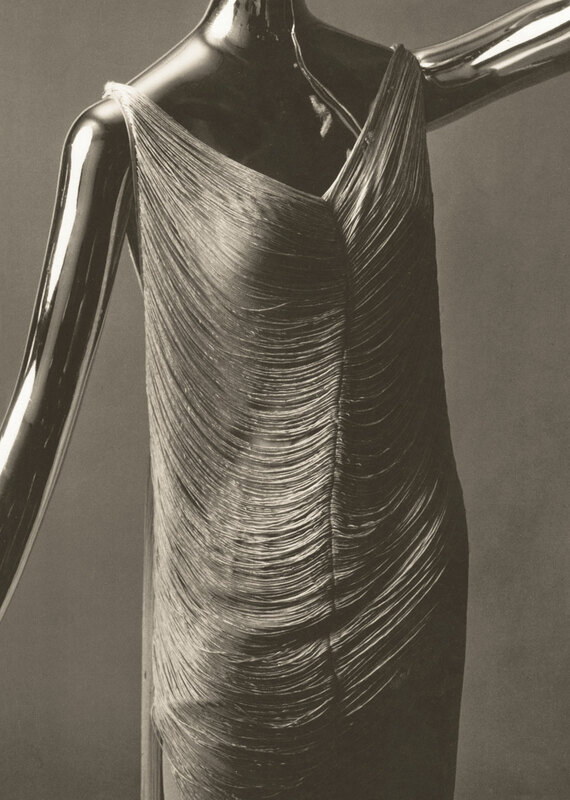 From Vanity Fair: “In Vionnet’s early years as a designer, fringe was a popular embellishment, as seen on this 1925 silk-crêpe dress. Photograph by Hideoki, 1925. I admit the 1920s isn’t the easiest to pull off when you have more of a 1950s body. I’ll have to wear a strapless bra I have the flattens me out quite a bit to get that boyish look that was so popular in the 20s. It will be challenging for me personally not to nip in at the waist but I’ll hold back. Promise! Time is short but I think I’ve got this. Just have to collect materials and not break the bank doing it. ha! Isn’t that the challenge when doing costumes. I am going to go through the silk crepe we have at work. We must have something for me to fall in love with! Anyone out there playing with 1920s shapes and draping? Any 20s dreaming or inspiration you know I need to have? I am just starting out with draping and am working on a 160s tent dress and a 1950s halter neck. I stay away from 1920s due to my hour glass figure. So I can’t really help, but I will be watching with great interest. The red dress is sensational by the way and I love the idea of a silk jersey draped wedding dress. Brilliant. Thank you! I hear ya on the hourglass figure… Just gonna do it anyway. 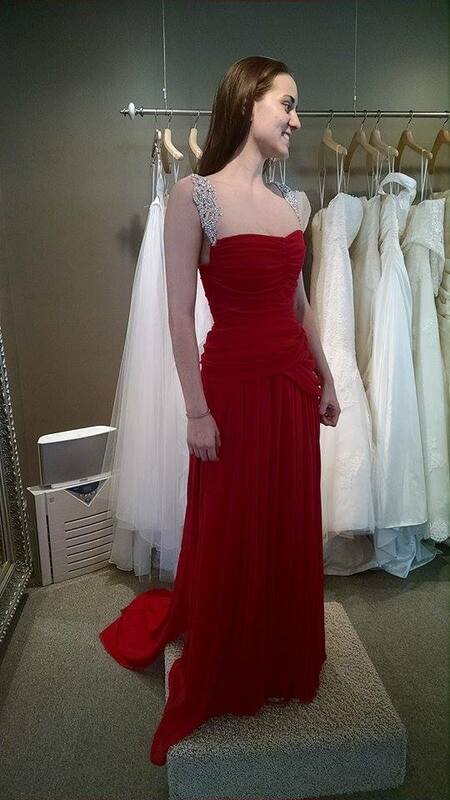 That red gown is gorgeous! I love seeing what you can do. I’m sure whatever 20s gown you make will be fab! Thanks G! Yeah that red one is my new favorite make. Still can’t believe I had anything to do with it. Very nice work! Can’t wait to see what you do with the ’20s stuff! I have a hard time liking ’20s styles on myself too – I like having a waist and boxy clothing makes me feel like I’m wearing someone else’s clothes. Check out the blog Witness 2 Fashion – she’s a retired costumer and posts some really great ’20s stuff along with all kinds of wonderful fashion history. You have an interesting challenge there! I’m looking forward to seeing what you come up with! If you go with a 1920s style tabard dress that is open on the sides with a body hugging underdress, I think you can get the flattering silhouette you’re looking for. Your draping skills looks pretty fabulous to me. Looking forward to seeing your draped 20s style creation. My intern, Jessica, is also a book artist, and made this box and necklace entirely from scratch! It's so beautiful!! She even made the book on the back of the necklace! She's also a chainmail artist and promised to bring some in to show off!